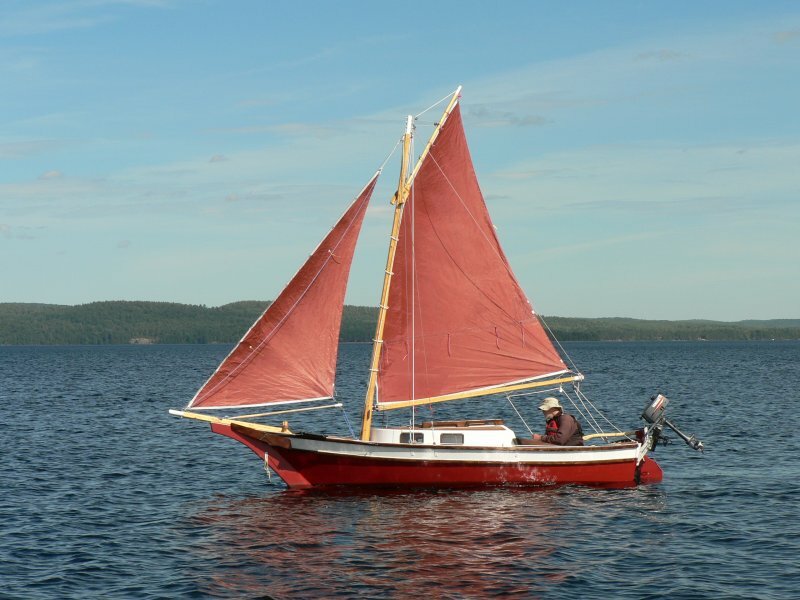 Though it was his first attempt at boatbuilding, Herschel Payne took just 4 months to build this 16′ Stevenson Weekender, SEA RABBIT. 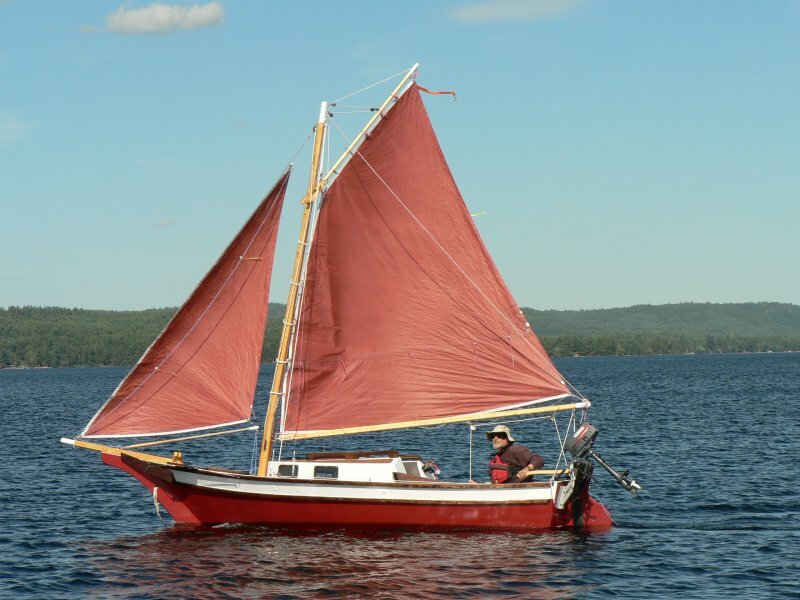 He built it from common lumber materials and regular hardware fittings, spending just $1500 for the boat. 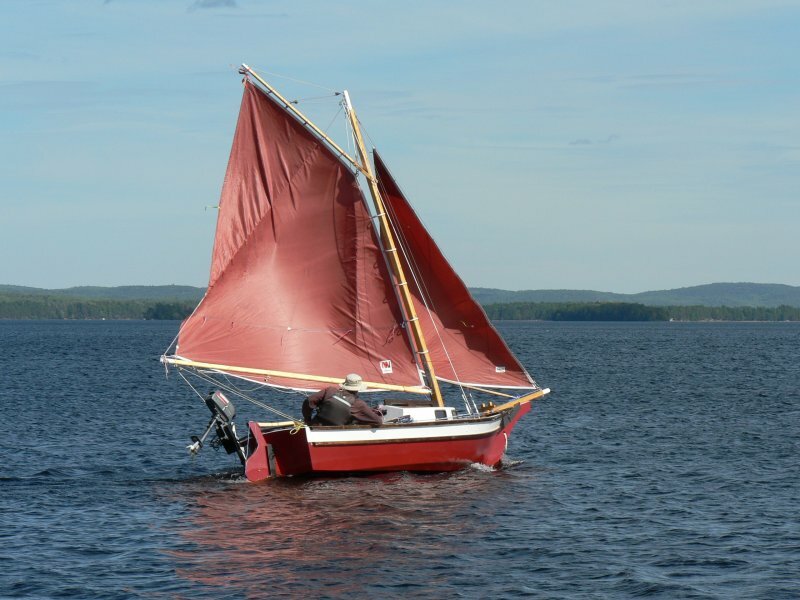 He writes that he didn’t want to invest to much in his first attempt. 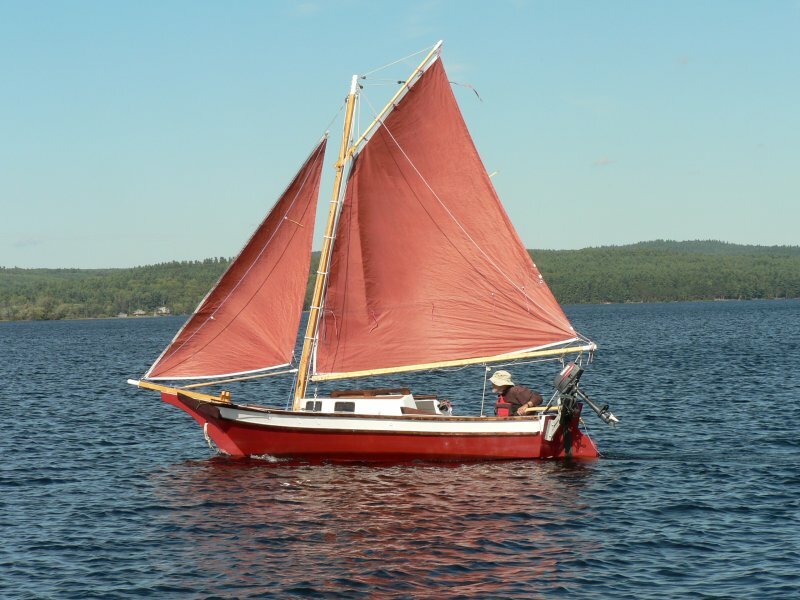 Herschel sails SEA RABBIT on Round Lake not far from Peterborough, Ontario, Canada.